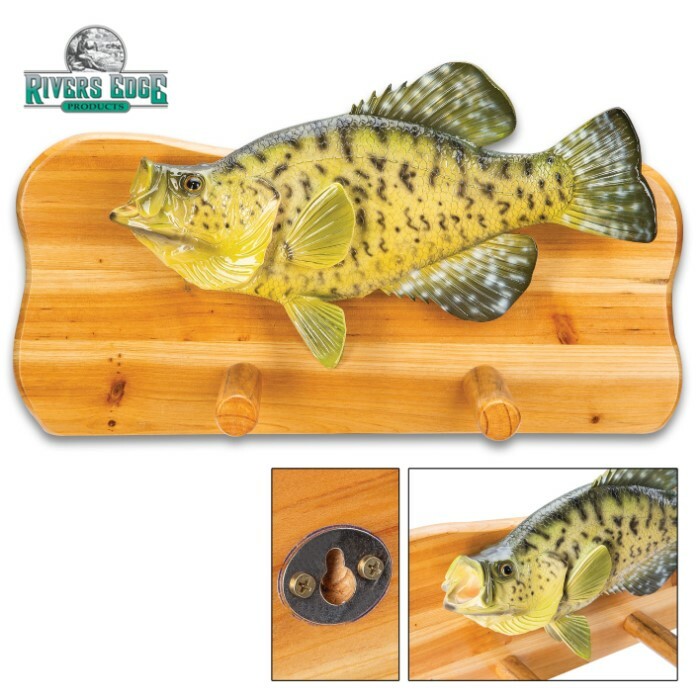 Crappie Fish Coat Rack - Natural Fir Wood Construction And Hand-Painted Poly-Resin, Incredibly Realistic, Two Coat Pegs | BUDK.com - Knives & Swords At The Lowest Prices! 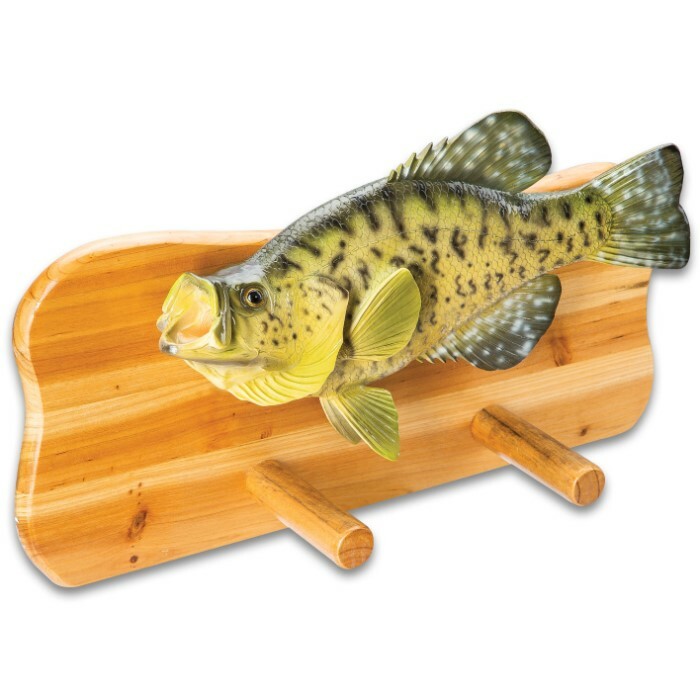 Perfect for your fish camp, lake house or office, the Crappie Fish Coat Rack will absolutely impress you with its expertly crafted details. It looks so realistic that people will think you actually hooked it yourself! 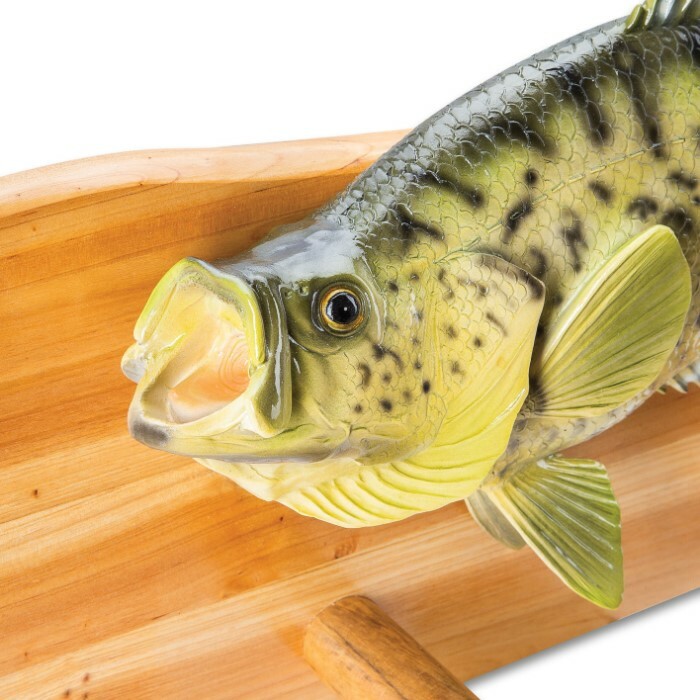 The crappie is crafted of polyresin and the intricately realized details are hand-painted with a glossy finish, which makes it look wet. The fish is mounted on a beautifully natural fir wood plaque, which has two sturdy coat pegs. 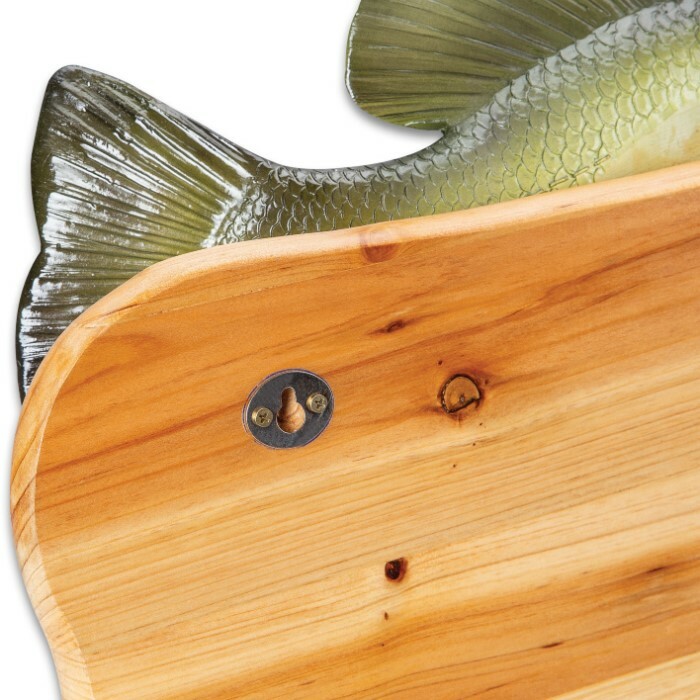 This high-quality home decor piece also makes a great gift for that angler in your life.